Comfortable place to stop for the night. Close to highway. So you're thinking about a holiday to Kenosha? If you want a place to call home that's located close to Kenosha attractions, use Orbitz to pick your travel dates, and then presto! Review the list of hotels and other accommodations to find those that are located near everything you want to see. 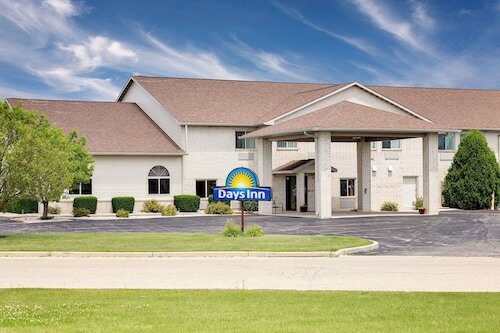 There are 153 accommodations to pick from within the larger area if you can't find a place you want to stay in Kenosha. Search by filters such as price, neighborhood, guest rating, or popular locations, depending on what's most important to you. 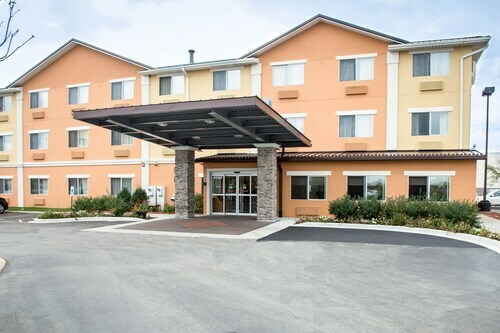 We make it easy to find a convenient flight to Kenosha, WI (ENW-Kenosha Regional), which is 3.2 mi (5.1 km) from the city center. Find the perfect flight in a flash by using the filters on our site to narrow down your search. Go swimming when you stay at one of these Kenosha properties, liked for their pools. What's the Weather Like in Kenosha? Property and rooms were clean and comfortable. Key cards were horrible and deactivated every time we left. Pool had too much chlorine. Orbitz did not reserve my room as a pet room, like I requested, and they locked us out of our room until we paid more money.